Many American's find themselves staying up late at night binge watching shows on Netflix. There is two types of people in this world the hardworking individual that comes home from a long day at school or work and just wants to kick their feet up and watch five plus consecutive hours of Netflix to relax. Or the remarkable couch potato who just adores being an introvert in warm blankets and can eat a whole pizza box by themselves wondering which show they can watch next because they’ve already watched all most all during the summer. Regardless of which individual one may be after a while of watching countless of hours of Netflix for numerous of days people start running out of shows to watch. So here are the Top 10 binge worthy shows on Netflix that should not be passed up. Grey’s Anatomy– If one’s feeling dramatic, emotional and wanting to hear some of the most intellectual conversations but not wanting to actually having them it’s time to start watching the medical drama series that focuses on a group of doctors at a hospital in Seattle. This ABC Family classic released in 2005 has been driving everyone insane since it first started to blow up in the public’s eye in 2016. Scandal– Shonda Rhimes creator of Grey’s Anatomy years later released a drama and romantic filled political crisis management show in 2012 that had people obsessed with scandalous and unexpected plot twist in every episode of every season. 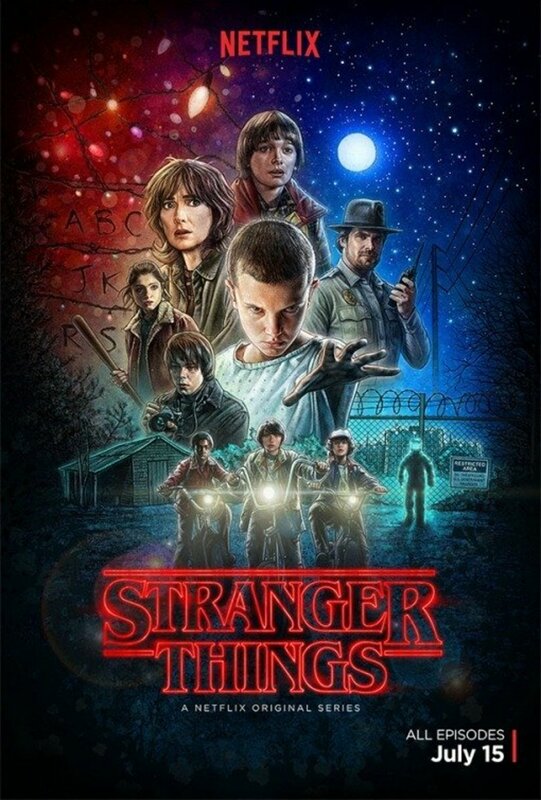 Stranger Things– If one has not binged Netflix’s original 80’s inspired paranormal throwback then what are they truly doing with their lives? A large population of millions nationwide talked about this show all last summer, and the second season, which was due in October 2017, was a sensational appeal to greatness. Girlboss– For those who are all in for girl power and women running the world this show is a must watch! Co-produced by Charlize Theron and helmed by Kay Cannon, this streaming series takes its name from Sophia Amoruso’s memoir but fictionalizes a young woman’s way towards being a successful female entrepreneur in a world of ruling males. Dear White People– Justin Simien’s show fired up and created a stir up in post-racial issues that continue to be alive today. The streaming version of the show follows a diverse group of students pushing back against discrimination at a mostly white Ivy League school. Simien’s work may be seen as a direct attack to the caucasian population but as many explained “ It is not white-genocide propaganda; it’s an illuminating look at what equality means in the 21st century”. Breaking Bad – Even though this show was aired on AMC it became a Netflix phenomenon that millions binge watched over the course of weeks and months. Filled with moments of shocking violence and amazing humor, the rise and fall of Walter White (Bryan Cranston) and his co-conspirators Jesse, Skyler, Gus, and Mike is probably one of the best experienced wild, indulgent weekend binges anyone could ever watch. Law and Order– Released in the late 90’s this show is considered one of the favorite all binge watching shows of all time years before on demand streaming was even invented. Despite of the great tragic loss people suffered by the show being canceled in 2010 many continue to re watch episodes and enjoy them just as if they came out that very day. The Office– Using the 21st centuries terminology this show is the real OG in other words it is considered the greatest show of all time due to it’s awkward humor and intellectual remarks that barely anyone understands but loves. Orange is the New Black – This show has the power be a comedy that can make one cry or the drama that will make one’s sides split depending on how an individual categorizes it.Orange features one of TV’s best ensembles made up largely of unknown actresses, Jenji Kohan’s show is about life in a women’s prison is full of fascinating, nuanced characters from all walks of life, who elicit empathy as they make difficult choices in order to survive. 10.Friends– Last but not least America’s favorite television sitcom released in 1994 where Three young men and three young women – of the BFF kind – live in the same apartment complex and face life and love in New York .Left the public emotionally unstable till this present day by society growing to love the each and every character by them having their individual characteristics that made each and everyone of them special.